Have a cute girl in your life that needs a cute Halloween shirt? 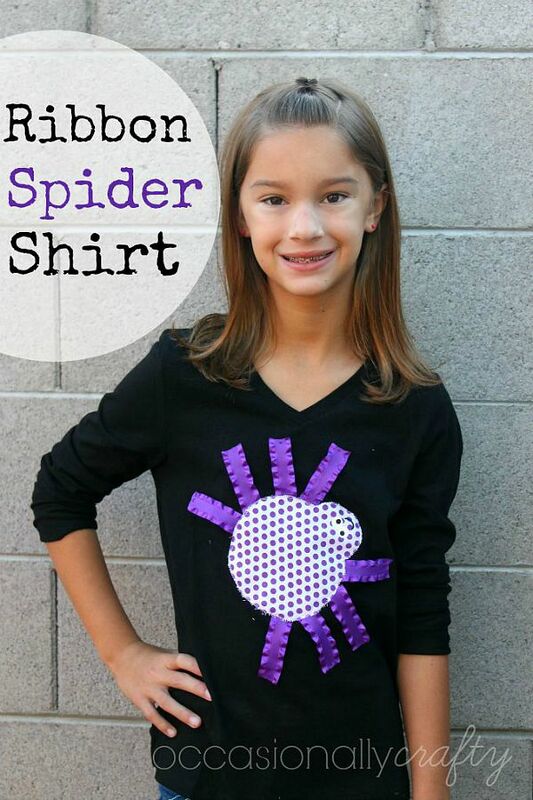 Make this Ribbon Spider Shirt and she'll love you forever! I'm sharing the full tutorial for this shirt over at One Creative Mommy today as part of her Spooktastic September series, so I'd love it if you would click over and let me know what you think!